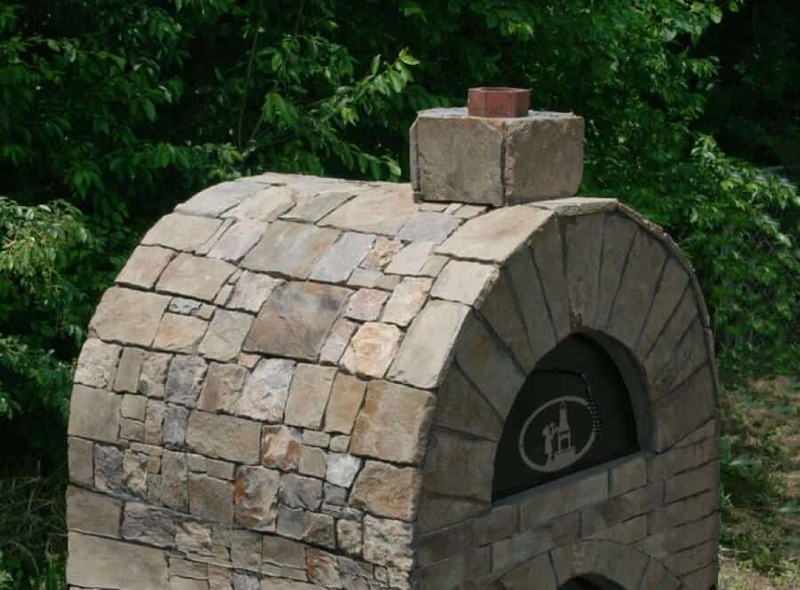 The Amerigo™ Pizza oven, an outdoor pizza oven kit, offers everything you need for old world pizza and much more. With more than 1500 square inches of cooking surface, the Amerigo™ has the space to cook plenty of pizza for the largest parties and families, plus the flexibility to handle any other style of cooking you can imagine. 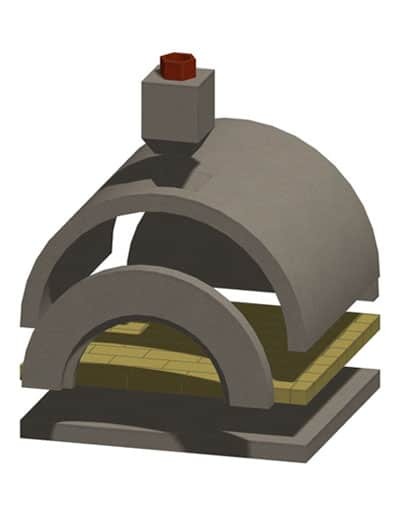 Arched Chamber with over 1500 sq inch. of Cooking Surface. Unlimited flexibility while incorporating the taste of real wood. Can cook 3 large pizzas at the same time! 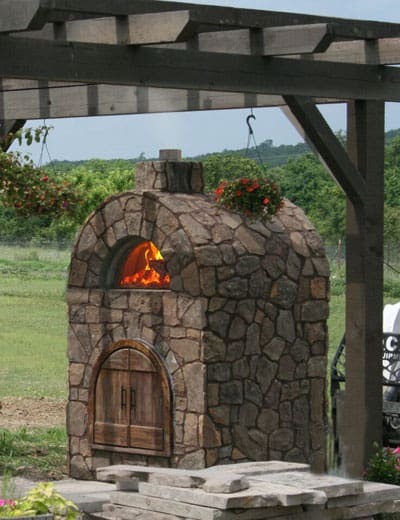 Our Best-Selling Amerigo™ Pizza oven offers everything you need for old world pizza and much more. With more than 1500 square inches of cooking surface, the Amerigo™ has the space to cook plenty of pizza for the largest parties and families, plus the flexibility to handle any other style of cooking you can imagine. Hickory, Pecan and Mesquite wood – any cured wood suitable for smoking meats. Oak is good for heating ovens & generating a bed of coals. Any flavored woods (apple/cherry). The owner should wait a minimum of 28 days after construction is completed to build the first fire. It’s normal to see spillage out of the front oven opening with soot/smoke stains on the face of the exterior. 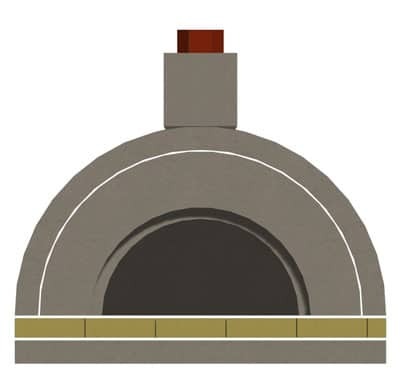 By design, the chimney flue of the wood fired ovens are undersized for maximum heat retention. 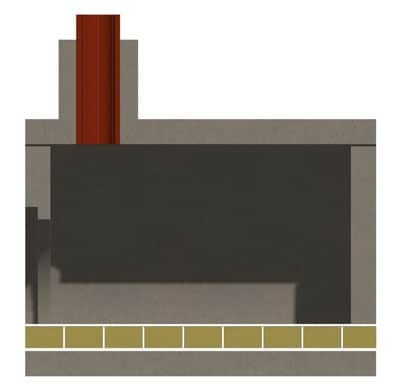 A chimney cap is recommended to protect the interior cooking chamber of the oven from exposure to moisture.